Through collaboration between social economy organizations and local governments, GSEF pursues the creation of quality jobs, fair growth, the progress of grassroots democracy, and sustainable development. This GSEF Session, which will be also our 2nd Europe Policy Dialogue, will be able to bring both themes of achieving peace and sustainable development through SSE. Find attached the program for our session. 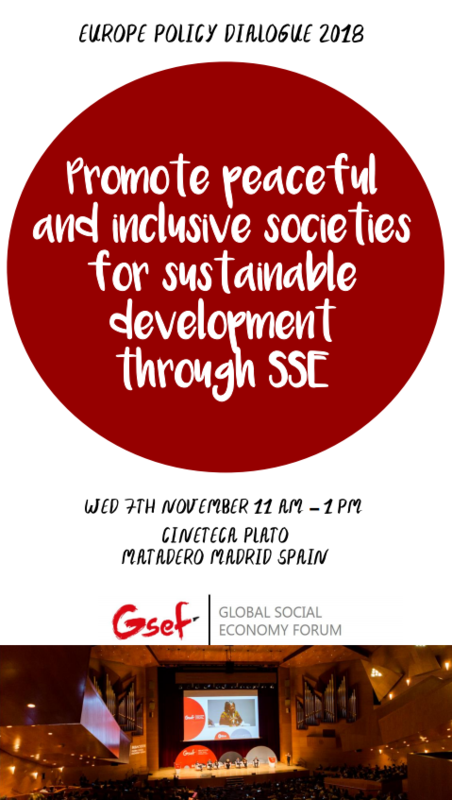 In 2018 GSEF organized its 4th International Global Social Economy Forum in Bilbao, Spain, where more than 1,700 participants from 84 countries gathered and shared the value of the social economy under the theme of “Values and competitiveness for an inclusive and sustainable local development” from 1st to 3rd October through plenary sessions, workshop and networking sessions by inviting cities and local and central governments, social economy actors and networks, universities and researchers and individuals. Through collaboration between social economy organizations and local governments, GSEF pursues the creation of quality jobs, fair growth, the progress of grassroots democracy, and sustainable development. 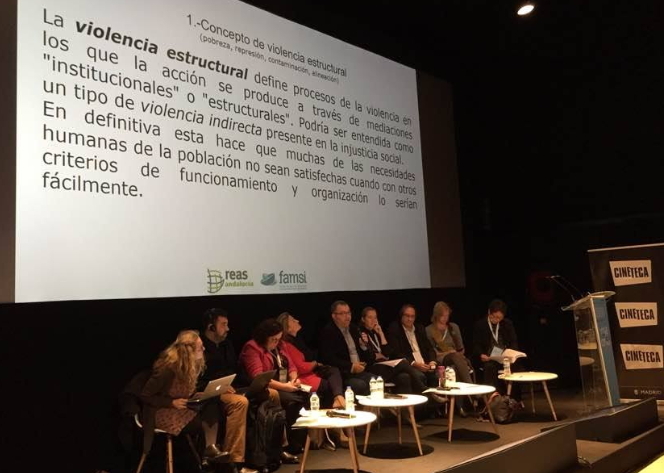 The 2nd Europe Policy Dialogue is organised as a thematic session within the 2nd World Forum on Urban Violence and Education for Coexistence and Peace to be able to bring both themes of achieving peace and sustainable development through the SSE.